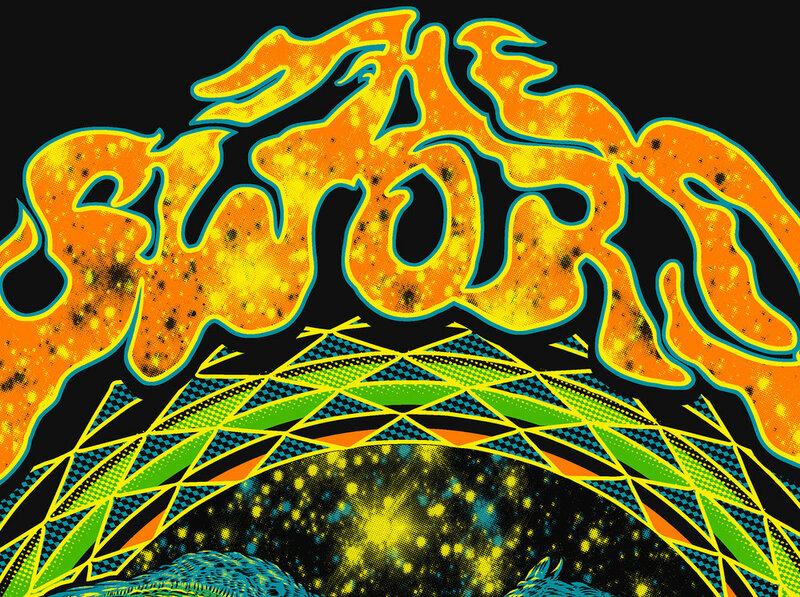 Lazer Hawk T-shirt design by Yeti Bite for the stoner rock band The Sword. The desing was inspired by retro pin ball graphics and includes some cool halftones. This shirt was done with 2 different logo styles. 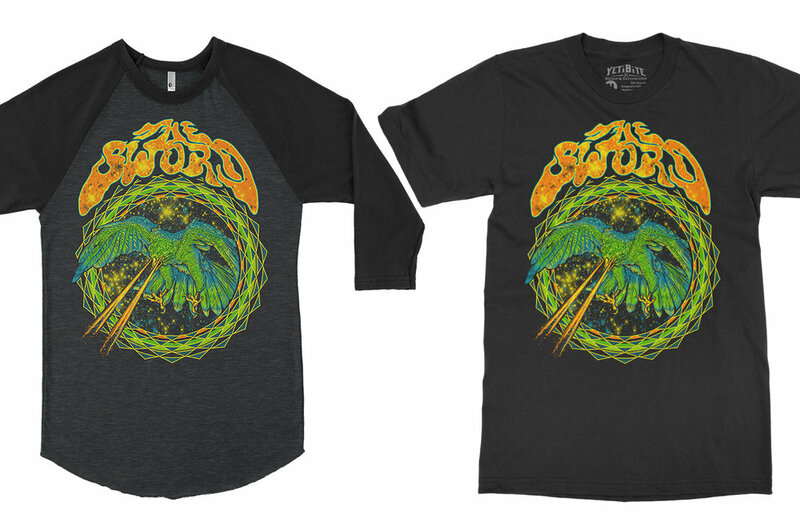 The band The Sword got a hold of me and asked me to create a lazer-hawk t-shirt for their latest tour. Naturally, I was stoked! This shirt design launched with the bands newest album Used Future and is available on tour now. It’s currently a best seller.